We have some island envy going on over here and we aren’t talking about tropical getaways! Adding a unique feature to a kitchen island will make a big statement in your space. 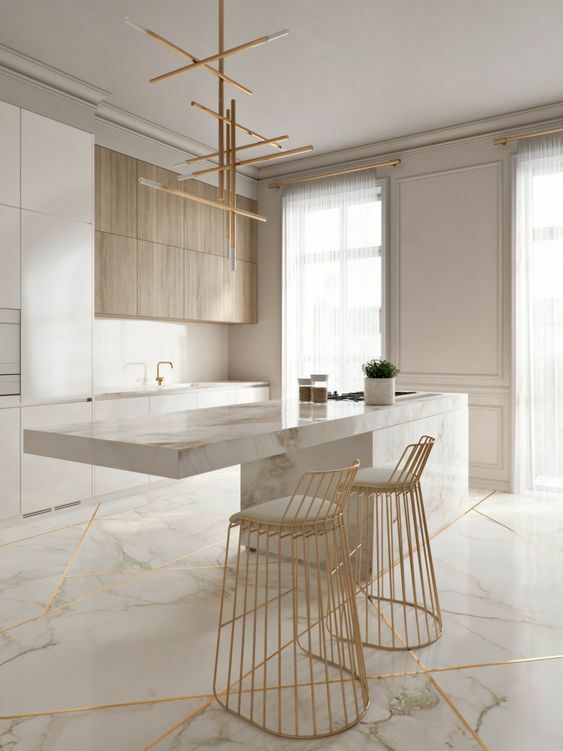 Whether the material is special or it has a unique shape or architectural feature, these kitchen islands are gorgeous inspirations on how to elevate the room. How stunning is this contemporary kitchen island? 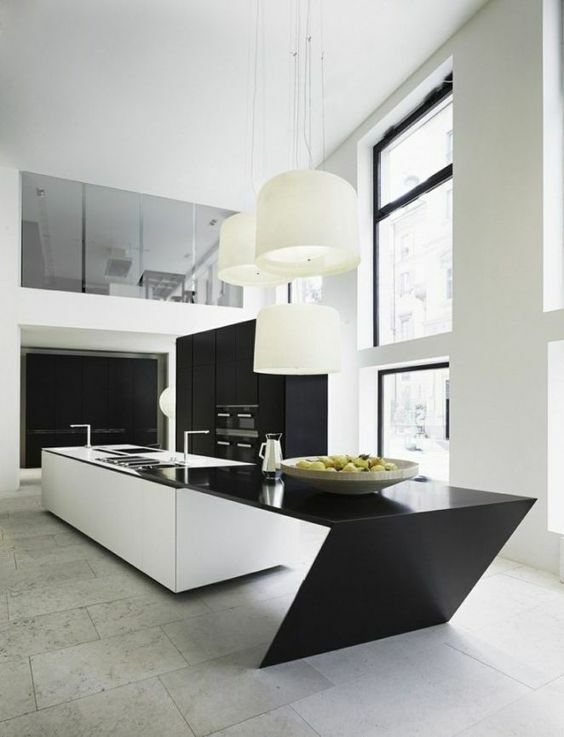 The combination of countertop materials in white and black add amazing interest and contrast to the space. 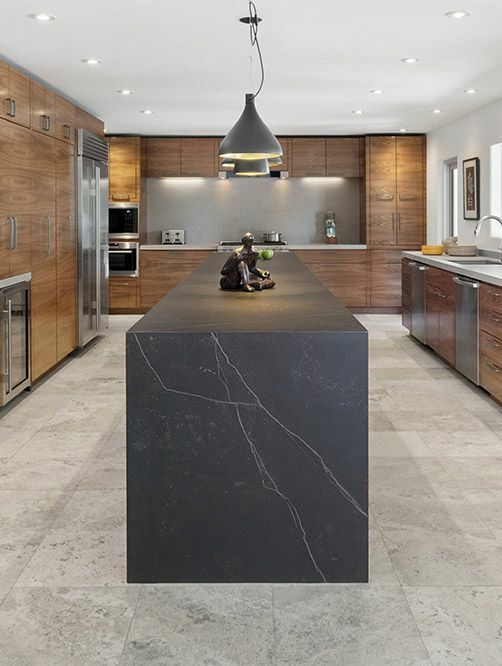 This gorgeous honed black marble kitchen island is earthy and dramatic at the same time. Paired with warm wood cabinetry, this kitchen is sophisticated and inviting. A unique and unconventional shape is created by slabs of Carrara marble in this kitchen. We love the idea of having different levels of counter space to add dimension. Two different materials merge together on this kitchen island. We love how the detail of the stone is tied into the floor and surround walls as well. 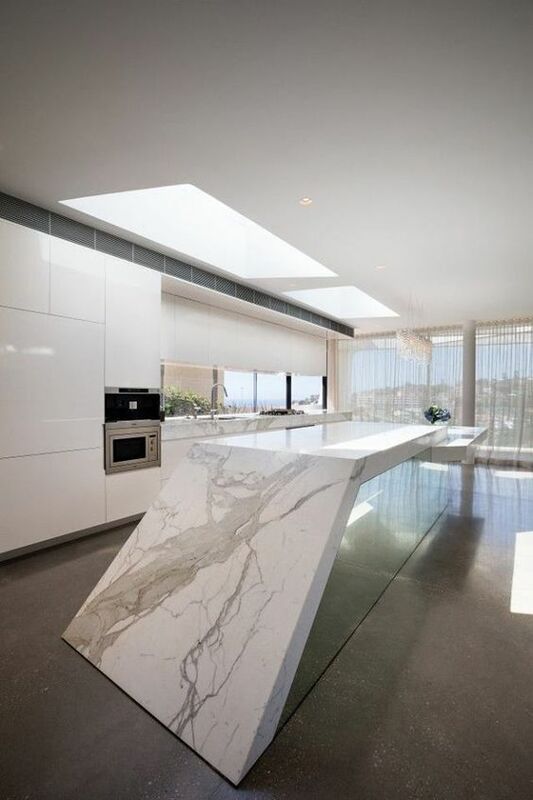 This ethereal and glamorous kitchen island appears to defy gravity. 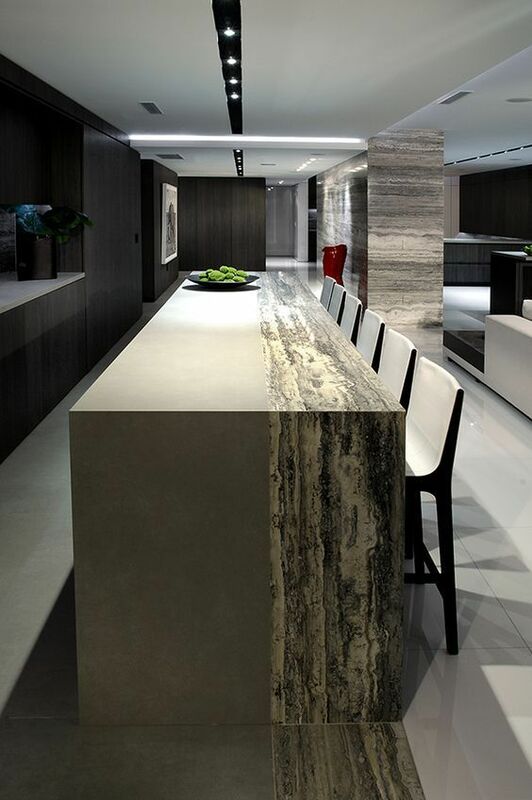 The cantilevered countertop is perfect for adding interest and creating additional space.